The Go Beach at CSULB in Long Beach August 7, 2018. Photo by Thomas R Cordova. 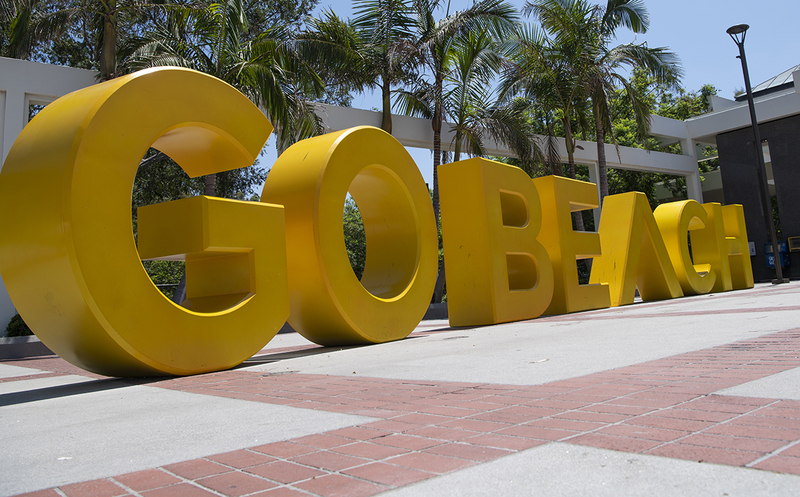 Cal State Long Beach needs you—yes, you—to help determine what its goals will be for the next decade. The university is asking the Long Beach community, alumni, students and professors to give their input online starting at 8 a.m. Wednesday and ending at 11:59 p.m. Thursday in Imagine Beach 2030. Don’t worry, it won’t be some boring survey; it’s more like an online card game. According to a news release, participants will respond to question cards with their own cards sharing their thoughts on possible future events. Players can build on others’ ideas, create lots of their own “forecast cards” or just upvote cards. “Our campus is taking a non-traditional approach during these two days to spark engagement around collectively thinking about our future,” the website says. Questions will address how to best serve students and ask questions like what the future of academic departments is in an ever-more interdisciplinary world, CSULB president Jane Close Conoley said. The game will even ask about one of the biggest hot-button issues on and off campus: What should the university do about a mascot? The issue was once again brought front-and-center when Conoley announced that Prospector Pete would be retired. To participate, RSVP at csulb.edu/imagine or play the game in person on campus on Nov. 14 or 15. The university must be able to discern between fads and credible trends, Conoley said.